New Delhi, April 16: Revealing their candidates from three high-profile constituencies on Tuesday, the Indian National Congress (INC) unveiled their nominees from Uttar Pradesh's Kaiserganj and Lucknow seats, along with Madhya Pradesh's Indore Lok Sabha constituency. Lok Sabha Elections 2019 Schedule: Voting In 7 Phases From April 11 to May 19, Counting And Results On May 23; Check All Dates For General Elections. 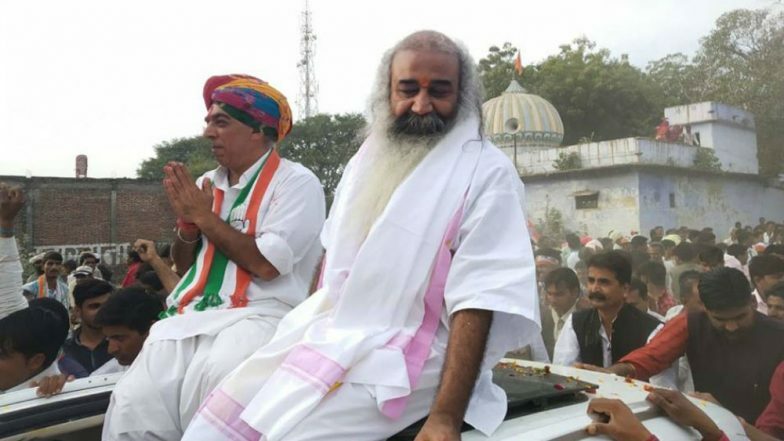 The Congress named Acharya Pramod Krishnam, who will contest from Lucknow constituency. Vinay Kumar Pandey will fight from Kaiserganj (UP) and Pankaj Sanghvi from the Indore Lok Sabha constituency. Voting in Indore will take place on May 19 in the last phase, while the polling in Lucknow and Kaiserganj will take place on May 6 in phase five. Rahul Gandhi Blames Arvind Kejriwal For No AAP-Congress Alliance, Says Tie-Up Means 'Rout For BJP' in Delhi. The outcome of two of these seats - Lucknow and Kaiserganj, will determine the impact of Priyanka Gandhi Vadra's deployment as UP poll co-incharge. While the party is hopeful of improving its prospects vis-a-vis 2014, rivals have ruled out the 'Priyanka Gandhi' factor in the ongoing polls. Union Minister Uma Bharti on the day the list were released said that Priyanka Gandhi will have no bearing on the outcome of the polls in UP or elsewhere. Bharati, talking to reporters, attacked Robert Vadra and said that "Priyanka Gandhi will be looked by the people of India as the wife of a robber," taking an apparent dig on Vadra's land dealing cases which is subjudice.